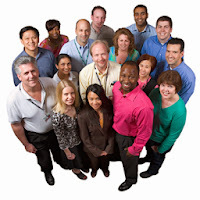 JoAnn Corley-Schwarzkopf | NewSchool Management: Are Your Leaders Human? I and my strategic partners have been completely immersed over the past several years helping clients improve their bottom line. We've successfully helped the companies we've served realize millions of dollars, buried under ineffective leadership. In the course of our work, I've come to a striking realization. Our work has evolved from promoting and fostering traditional management principles and practices to almost exclusively helping leaders become more relational -- helping them be more relatable, learn to connect to those they lead and influence-motivate their teams toward needed outcomes...and more importantly come to believe these capabilities as a leader are no longer an option --considering the make-up of today's workforce. We in fact have been helping them become more human, that is helping them recapture and reconnect to their humanity in a business context. Many are left in the wake of uncaring, to some degree inhumane, command and control, transactional management practices from the past. In the world of leadership development much of my work now falls under the heading of social-emotional intelligence and neuro-leadership popularized by Dr. Daniel Goleman, David Rock and others over the past 20 years. The truth is some past more traditional management practices are just not as effective anymore. Employees want more. Gone are the days when leadership effectiveness was represented by putting on a certain leadership "persona", exercising power exclusively from a title or position. Leadership effectiveness today is primarily sourced from personal and relational power -- in essence who you are as a person and how you relate to others vs. the title or position that is held. And this pretty much describes the evolution of my leadership development work -- stripping away the contrived personas and allowing the authentic self to emerge. The challenge is many leaders are not comfortable with this. Employees today want real people as leaders. They want and are very willing to follow leaders who are vulnerable, transparent, honest, authentic, humble, collaborative, empathetic, compassionate, "have a heart" -- who lead from their humanity, not from a title or position. I've termed it "human-focused" or human-centered leadership and fits perfectly with our view and approach of holistic talent management-- working with the whole of a person and seeing an organization as an organism. If you take a moment to consider any employee, leadership or management issue, I suspect that many will be related to "in-humane" treatment of an employee. Now, when most people hear this, they think of something very dramatic. But its the subtle actions, building up over time that become real issues and subsequently eat away at organizational strength, leadership effectiveness, talent retention and ultimately profits. For example: not showing appreciation, disrespect, bullying, humiliation and shaming, ignoring, not listening, not being available, a lack of caring or support, being non-responsive, little connection or communication ...just to name a few. These leadership and management behaviors relay a message -- one that, for many, demotivates and undermines successful "human resource" management. I conduct leadership/peer group coaching as a part of our consulting practice (one of the most popular and satisfying elements of our offerings). In a recent session, I asked these questions, "What does your team need, to be treated more humanely? Thinking of leadership from a "human" perspective (vs. the latest, hottest leadership strategy) is an interesting exercise. Let's just say, the answers didn't flow. I also asked, "What human needs can be met so that your team would be more responsive to your leadership?" important / relevant / sense of contribution/ "I matter"
As we contemplated these human needs, we considered -- if these needs were meet, how would it impact the quality of team culture, responsiveness to customers /client needs, getting improved results? In fact, would it create a climate where it would be easier to lead? Their answer was an resounding yes! My observation and conclusion: The more "human" leaders are, the more effective they will be. Those who are skilled at building respectful, positive relationships, who are comfortable and in touch with their own humanity, will be the most influential and the most successful at nurturing and leveraging talent, fostering better organizational performance resulting in improved profits. A lot of our work as of late has been working with clients who want to update their leadership culture and have baby boomer leaders who desperately need to transform their leadership. For them, it's a journey beyond leadership, but of personal evolution as well (something that, by the way, a 1 day leadershp training workshop or seminar won't achieve). I'll continue to write about our work as we develop and promote human-focused leadership and as it develops, will expand into holistic organizational leadership™. We really do intend to put the "human" back in human resource-talent management and when we use this term it's literal. For us it's not a department, but an active leadership competency. I truly think we've become numb to the human element of that phrase! I invite you to subscribe to the blog. And don't hesitate to connect if you'd like to start a discussion regarding how this relates to your organization. You are absolutely right JoAnn and I especially love what you about a primary need you meet in your work with leaders: "...helping them recapture and reconnect to their humanity in a business context." Business acumen isn't enough. Today demands business acumen and the human touch. nice post! I really like and appreciate your work, thank you for sharing such a useful information about human resource laws and management, keep updating the information, hear i prefer some more information about jobs for your career hr jobs in hyderabad .